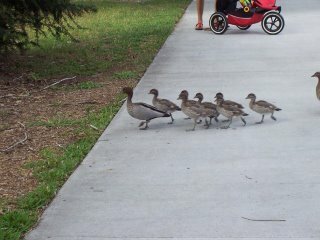 All traffic stops on our footpaths for a family of black ducks. 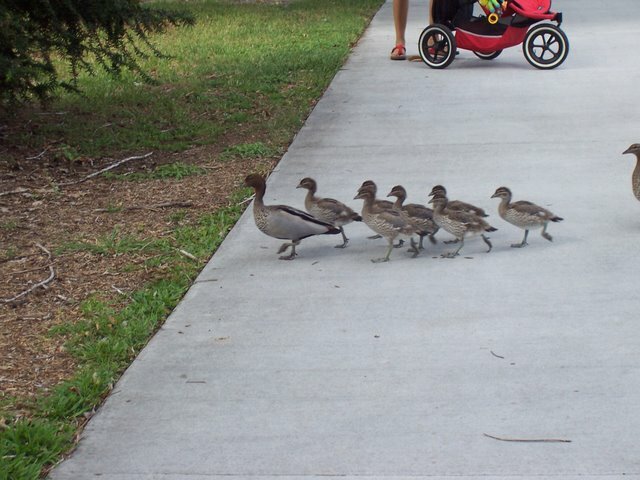 The parents must have been very vigilant, this is an unusually large family - seven ducklings to survive is quite a record. 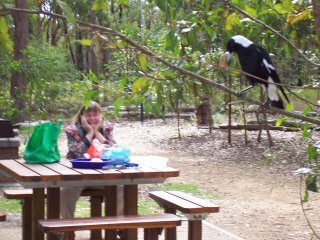 This is me being watched by a friendly magpie - he wants the food on that plate!! 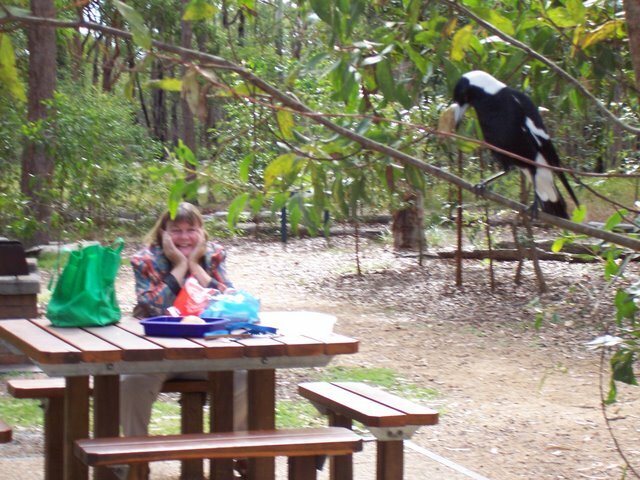 By the way in this picture it is winter - I am wearing a jacket LOL!!!! A little crested pigeon - delightful pinky-mauve, lavender and grey with plummy brown bands. 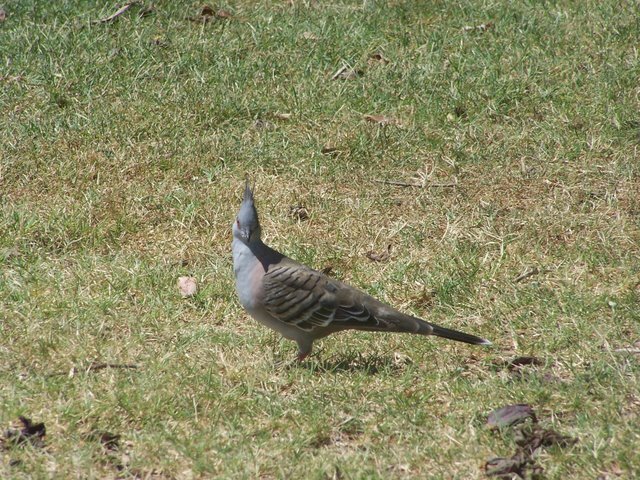 We get lots of these here . 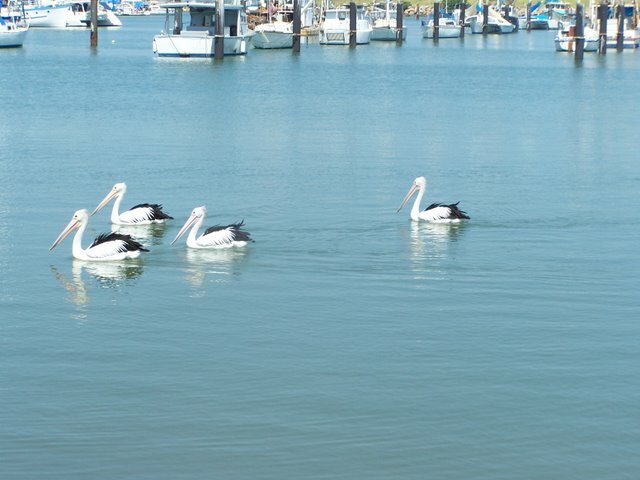 The pelicans are always here - these are cruising in Scarborough Boat Harbour. 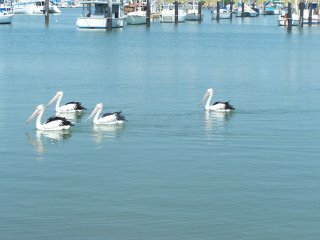 They love to gather when the fishing trawlers come in nearby - they are guaranteed a good feed!!!! !